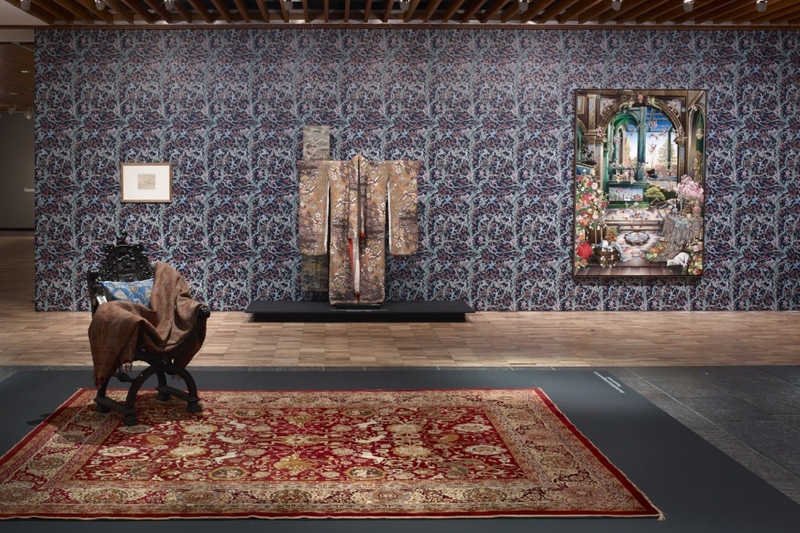 A solo exhibition by contemporary artist Raqib Shaw which examined the real and imagined spaces between the East and West. Shaw’s opulent paintings of fantastical worlds were combined with historic textiles, furniture and drawings from the Whitworth's collection. The exhibition takes the form of an installation, drawing on influences of renaissance and baroque imagery, combined with theatrical extravagance, nature and poetry, to echo the mythic space Shaw creates in his paintings. New wallpaper designed by Shaw, commissioned specially for the exhibition, created an extraordinary backdrop for his work. The exhibition was reimagined for the South Asian context, during the Dhaka Art Summit 2018. A new network of eleven arts organisations from across the North of England and South Asia announced a three-year programme of co-commissions, exhibitions and intellectual exchange to celebrate shared heritage across continents and develop artistic talent.